Humidity and heat are a girls number one enemy when it comes down to their hair. Especially if your hair is prone to frizz. 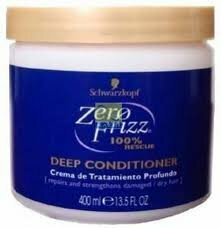 Frizz is caused by lack of moisture in your hair however, humidity is a big factor when it comes to having frizzy hair. For this reason your hair may seem to look and feel more frizzy during the warm summer months. There are steps and products you can use to diminish the frizz of your hair and beat the summer heat. The products below are my favorite and secret weapons to maintain my hair free of frizz all summer long. Let me know below which products do you use to keep frizz out of your hair for as long as you possibly can. Because let’s face it after a long day of being in humid weather your hair will end up with a little bit of frizz. However, you can fight the frizz for a longer period of time if you use the right products. You want to use a sulfate free shampoo and conditioning system such as this one as it contains it contains less chemicals and will cause less damage to your hair. It will also keep your hair color in tact which is a great feature to remember if you have colored hair. Adding a hair mask to your hair care routine is always a good idea. You want to add as much hydration to your hair as possible. Especially if you have naturally frizzy, dry hair or if the humidity outside is on the higher side. Adding that extra layer of moisture will allow your hair to combat frizz. 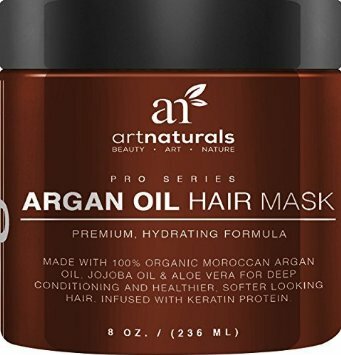 This argan oil hair mask will leave your hair in better condition than when you applied it. It is 100% organic and contains the proper ingredients to give the proper nutrients to your hair so that it is able to fight frizz. A styling cream that is silicone free and will prevent your hair from becoming frizzy is the way to go. This styling cream is not only silicone free which means it will not weigh your hair down at all or make your hair feel sticky. The sticky feeling in styling products is one of main reasons why people stay away from them. However, this styling product is actually good for your hair. If you have curly hair this is a really good option if you want thick voluminous curls that stay intact all day without being hard and crunchy like many curl activating products tend to do. Hair serums were create to coat your hairs every strand and allow your hair movability while still holding its style. This hair serum is perfect for adding an extra layer of defense against frizz as it will coat every hair strand and allow you to style your hair the way you chose to do so. 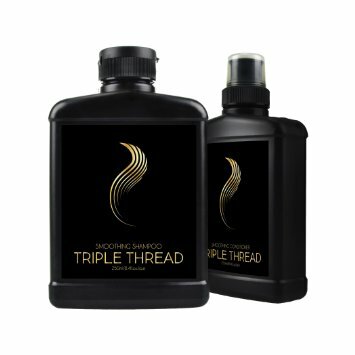 Lets not forget this hair serum actually helps cut your drying time in half. 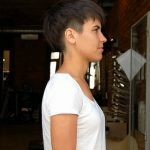 Which means if you decide to use any heating tools on your hair, you will be able to do so in a shorter amount of time and with little to no damage. The number one enemy of frizz is dryness. So you want to do your best to keep your hair as moisturized as possible. A deep moisturizing hair conditioner that doubles as a hair mask is a great way to do just that. You will have moisturized hair as soon as you come out of the shower. Your hair will be soft and manageable. The key to maintaining your hair moisturized even after you come out the shower is to work with your hair quickly while it is wet. Once your hair starts to dry you no longer want to touch it. When you touch your hair often while it is drying you are not only transferring your natural oils from your hand but you are also creating frizz. Using heating tools during the summer time can be a tricky aspect especially if you have curly hair. Curly hair tends to crunch up especially in humid weather so utilizing a heating tool can actually backfire and cause you to have even more frizz. For this reason, it can be useful to use a frizz control &amp; straightening serum to help maintain your hair straight for upto 24 hours. 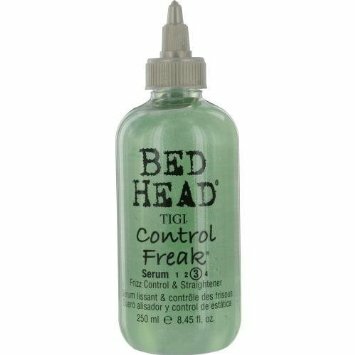 This serum has frizz control as well as straightening power. It allows your hair to remain straight for a longer period of time while fighting against frizz with you. 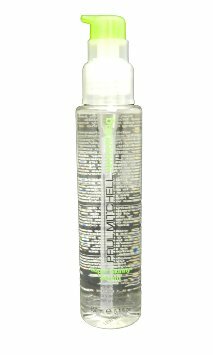 After you have styled your hair, you want to make sure you use an anti frizz hair spray. Adding an extra layer of anti frizz to your hair can ensure your hair stays frizz free for a longer period of time. This hair spray will smooth and seal your hair cuticles. By sealing your hair cuticles your hair will not appear as frizzy if it does happen to frizz. This hair spray will not make your hair crunchy or hard. It will hold your style for upto 12 hours. 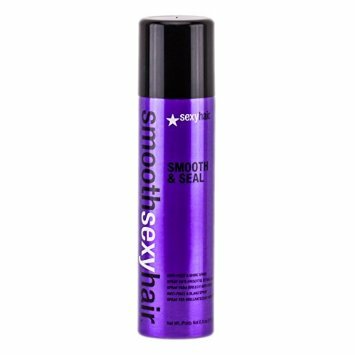 Once you apply this hair spray your hair will stay in place until you choose to change it. 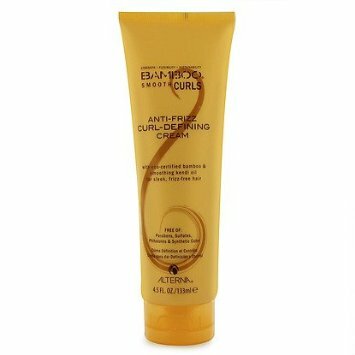 Using a curl defining cream when you have curly hair is the best way of defining your curls and smooth out any frizz. This defining cream can be used on dry or wet hair. When you use it during wet hair, it will define your curls and give you volume while keeping your hair frizz free. When you use this defining cream on dry hair, you will be smoothing out your hair cuticles which will result in taming your frizz and making your hair much more manageable. It will also bring your curls back to life. If you have damaged, unruly and over processed hair you want to use a nourishing oil on your hair to bring it back to life. Many times your hair becomes damaged and unruly because of dryness. A hair oil adds the moisture and hydration that your hair needs to come back to life. This hair oil will tame even the most unruly hair without making it look or feel greasy. Many hair oils will simply coat your hair with oil instead of getting deep inside your hair shaft and fixing the damage. This hair oil gets deep inside your hair to fix the damage and give you healthier looking hair. If you want a hair conditioner, a heat protecting balm, a hair mask and a styling cream all in one this is the one for you. This leave in conditioner will do everything you need in order to do it in one simple step. Simply use after you get out of the shower as you would any styling balm and you will have perfectly protected hair that will do exactly what you want it to do. This leave in conditioner is the perfect addition to any hair routine as it protects your hair and moisturizes your hair all at the same time to give you manageable hair. These products will not only moisturize your hair but it will also allow you to style your hair and be confident that you have beat the heat. Say no to frizz and try these products while you do so. What tricks and tips do you have to maintain your hair frizz free? Share some of your secrets below.